Debates of all sorts are common amongst car enthusiasts. But there's one area where you won't find much argument: when it comes to styling, the Italians are the best. 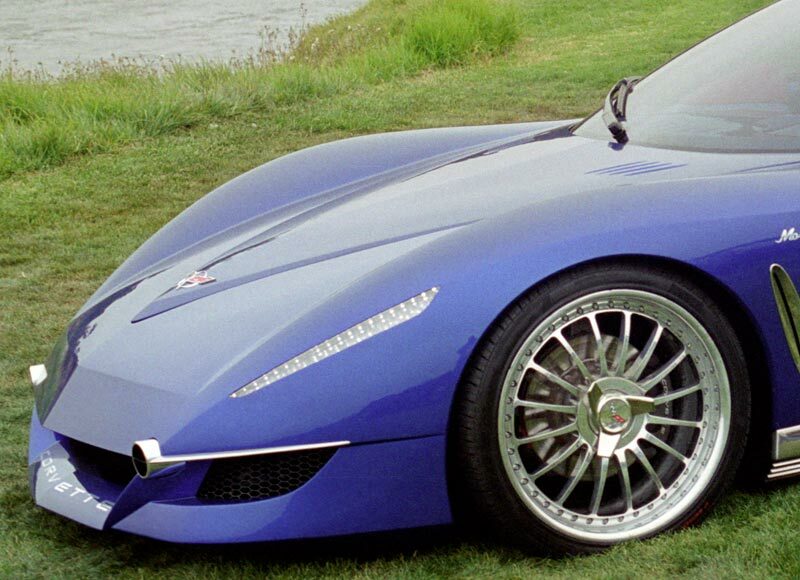 So what would an Italian styled Corvette look like? 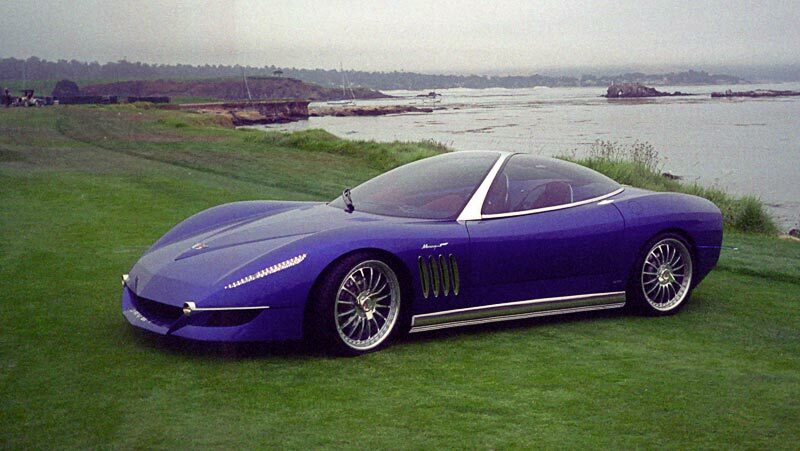 Italdesign, a Turin Italy design and engineering firm has answered the question nicely with the Corvette Moray. 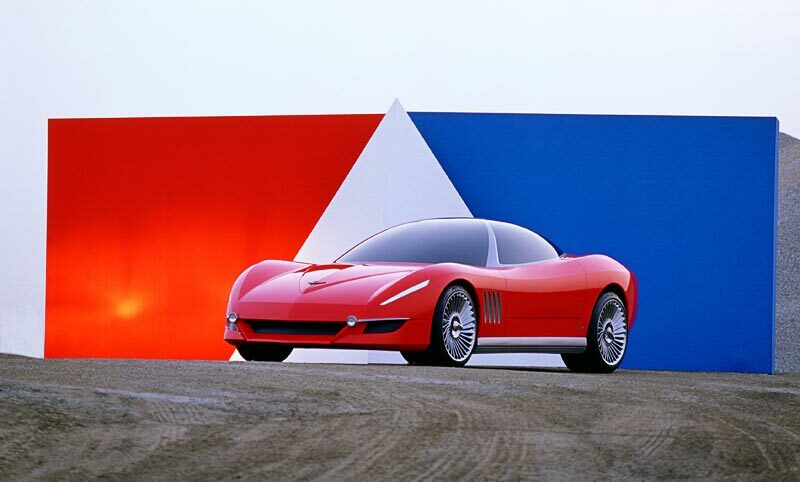 The work of Giorgetto and Fabrizio Giugiaro, the Moray was built to commemorate the 50th anniversary of the Corvette. It first appeared at the Geneva Motor Show on March 4, 2003. 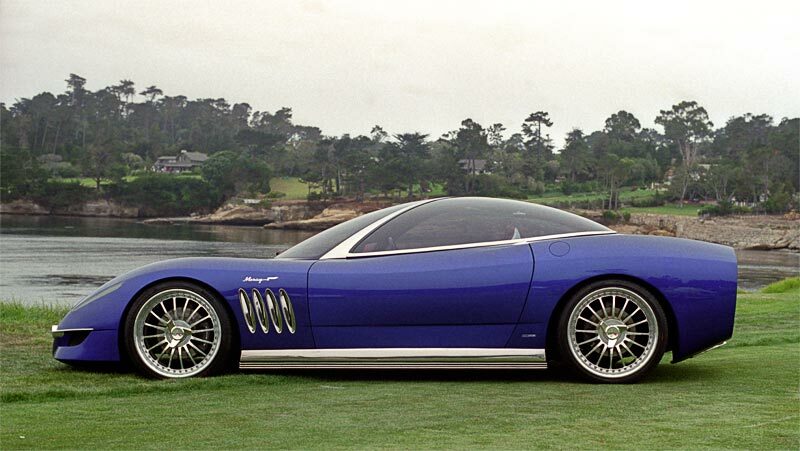 The most interesting aspect of the Moray is that although it is clearly a new design, it still looks like a Corvette. This is very evident with the rear view (below) with the four round tail lights and the "Corvette" script. 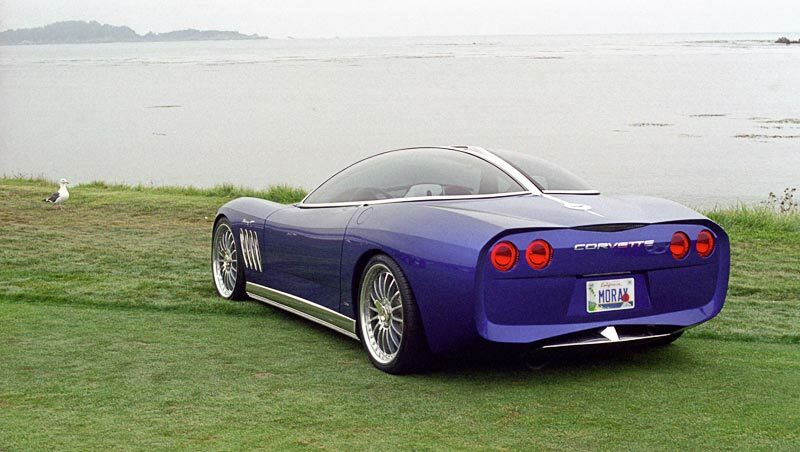 There's even a "Split Window" effect reminiscent of the 1963 Corvette Coupe. 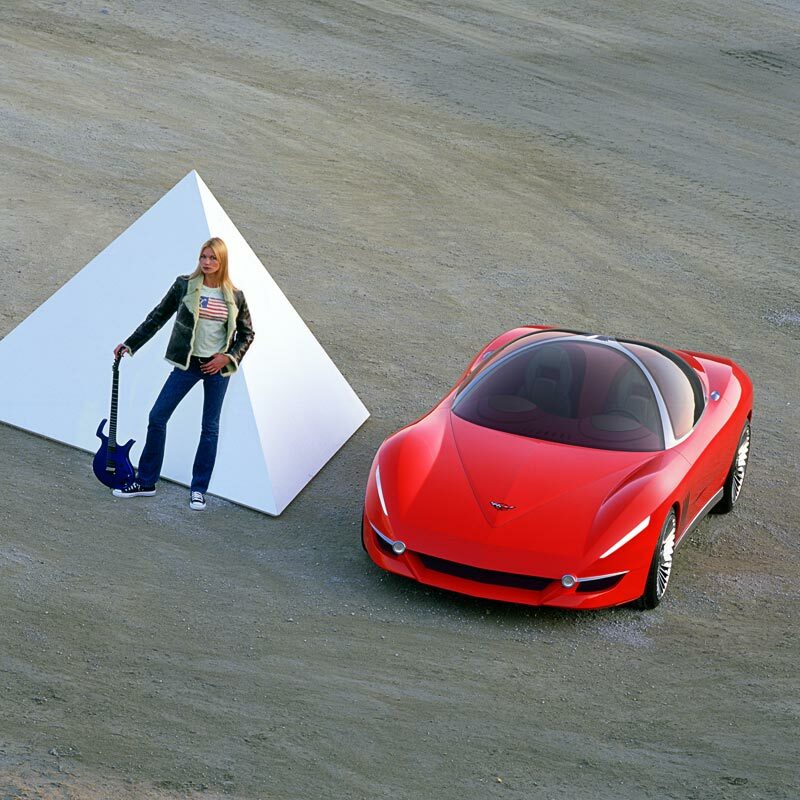 Right: Sharp fender creases are similar to the C2 and C3 Corvette. More Corvette design cues: the silhouette has much in common with the C5 Corvette for which the Moray is based on. 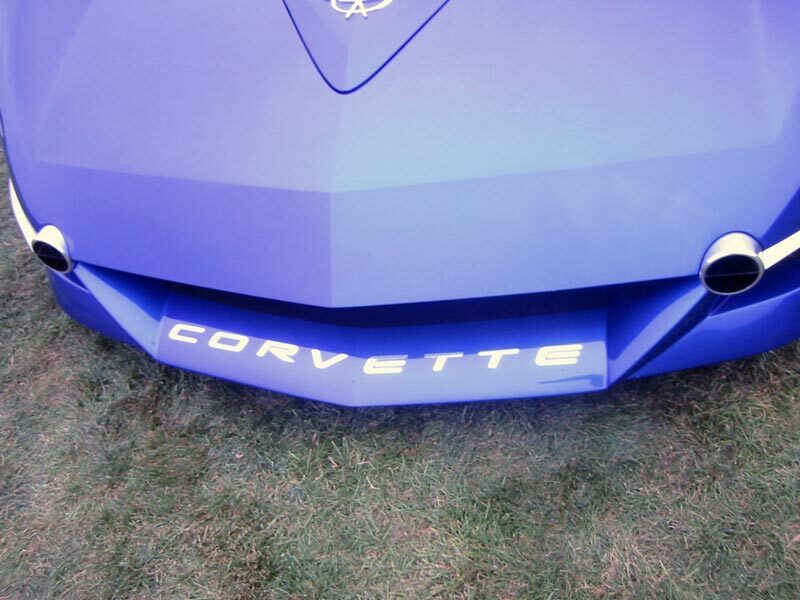 There are also the four semi-vertical slats, a nod to the 1967 Corvette. Note the fuel filler on the rear deck. 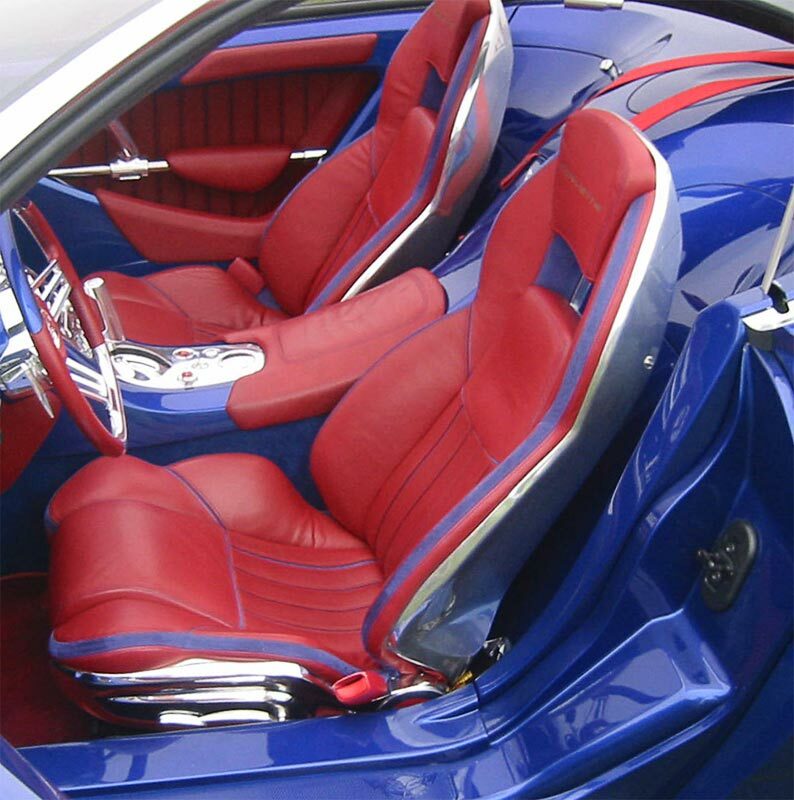 The interior continues the Corvette heritage. Note the "dual cockpit" motif similar to what can be found in the C2 and C5 Corvettes. Side view mirror function is accomplished up by small video cameras connected to displays on either side of the steering column. Bright areas are polished aluminum. The door is mostly conventional save for the window / roof which rises like a birds wing. Not practical for rainy days! 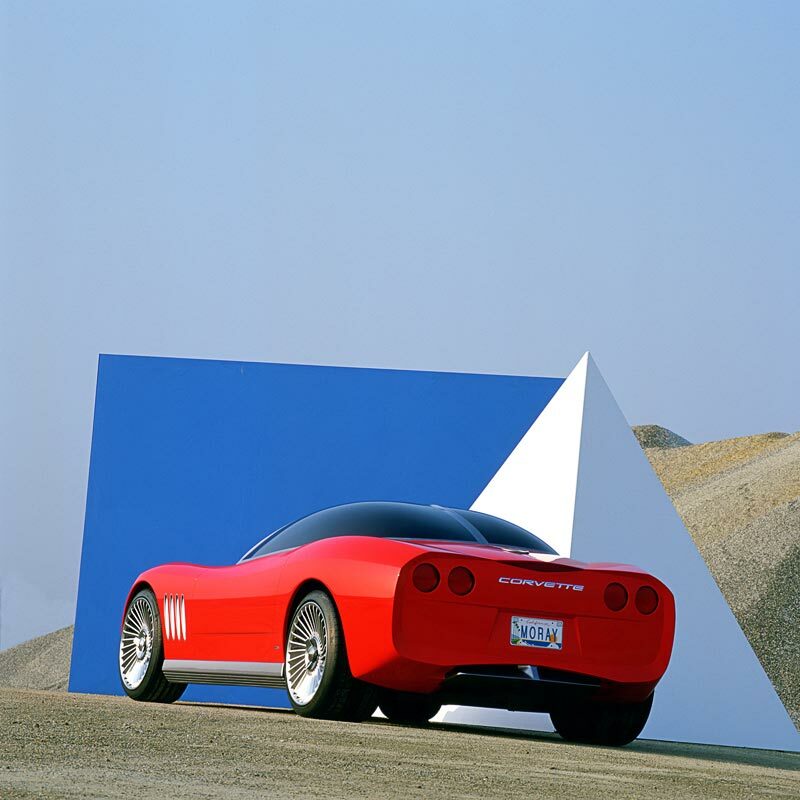 Unlike many custom show cars of which only one are made, (hence the "one-off" moniker), two Corvette Morays were produced, the second featuring red livery. Maybe we have something new: the "two-off"? 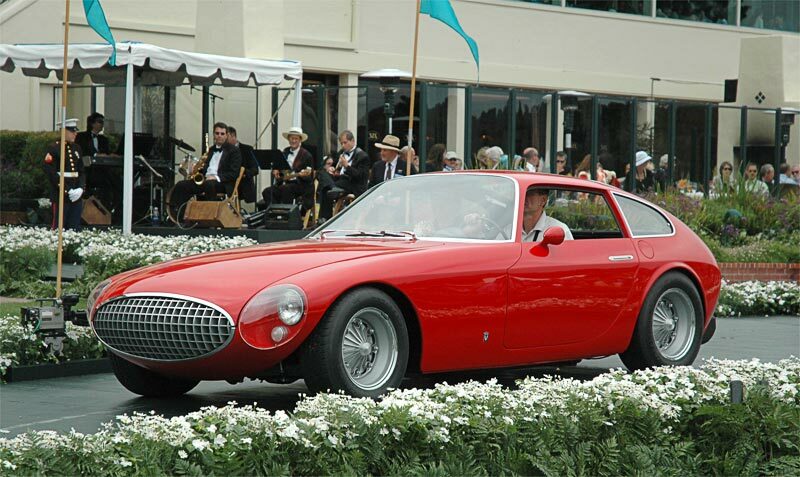 One off Corvette coupe with body by Vignale, an Italian firm, built in 1961 on a C1 chassis. The front grill and the covered headlights scream "Italian" but unlike the Moray, there are no clues to the Corvette origins in the body design. The following is the Italdesign press release, in its entirety and complete with characteristic Italian drama. 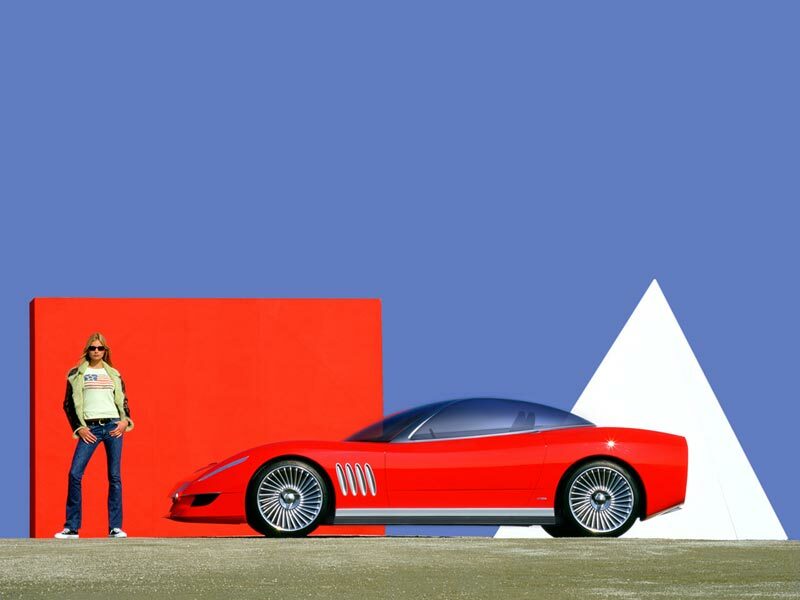 The Moray project, which will be presented for the first time at the Geneva Motor Show on March 4, 2003, embodies the homage that Giorgetto and Fabrizio Giugiaro wish to pay to the fifty-year era of the Chevrolet Corvette, the supreme symbol of the American sports car. Realized without hesitation on Corvette mechanics and chassis, the outcome of seeking out a sports car designed as an elegant extreme leaps into the limelight carrying a pure profile, designed as though touched by drifting tides with long and slender front lights, bringing immediately to the mind the Moray, the English term for the eel-type fish, muraena helena, found in Mediterranean waters. Also resembling a moray rippling through sea waters is the sinuous contour line, whilst shaping the elongated front section - an unmistakable look of the Corvette grille - to a far stronger, more accentuated curvature is the serpentine bonnet (which projects frontward) forming a contrast with the upraised cut-off tail. 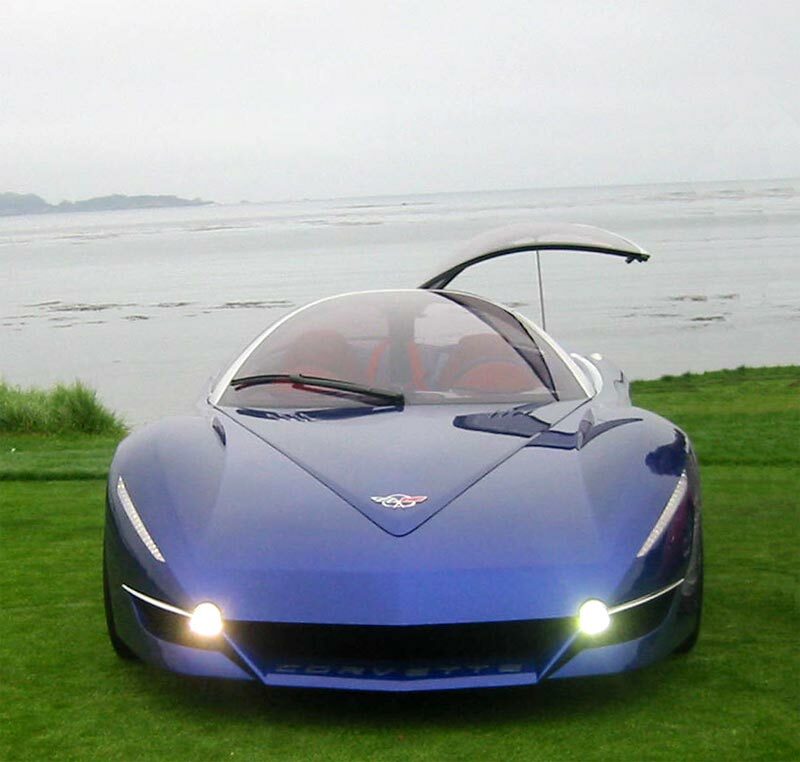 "We vowed to honor the rhetorical principles that dictated the American muscle-car of excellence era: simplicity and pragmatism, handlasting with the hedonist concept of sportiness evolving beyond the restraints of time", explain Giorgetto and Fabrizio Giugiaro. Hinged to the rear door frame, thereby assuring freedom of access to the inside of the car, the clear crystal semi-dome of the doors - by which the side window and roof merge into one complete unit - swings open like a seagull on wing. 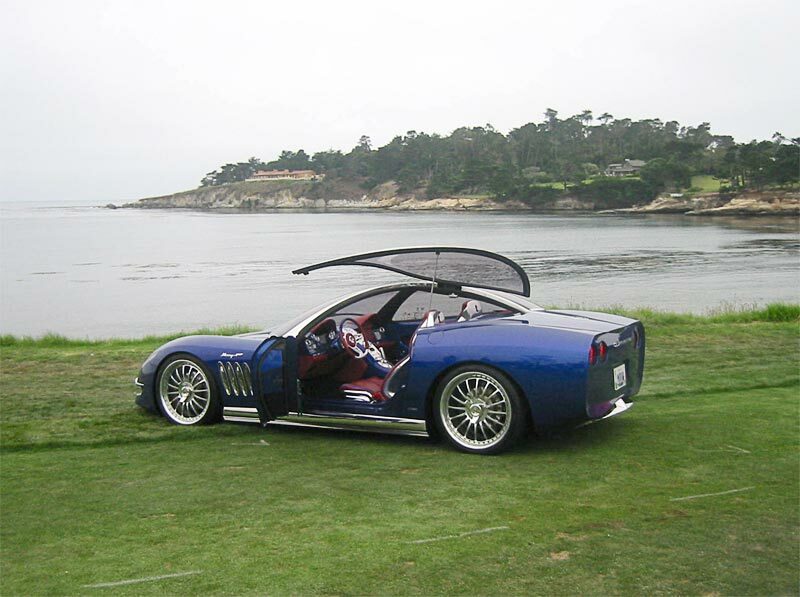 Quick and simple to remove, these door wings ease the way to transforming the Moray from a coupe, with its unmistakable roof panel under the unique, clear crystal dome, into a quasi roadster. The direct, immediate feeling of fresh-air motoring is enhanced by removing the B door frame. This is replaced by a central arch-shaped steel structure to which the two wings are hinged. In perfect symbiosis with the fresh and free extreme of the car, there are no side-mirrors, which have been replaced by a telecamera system with dashboard-integrated viewers. The bodyshell and paintwork color blends into the capsule, becoming one and the same. Only those surfaces inside the car touched by the driver or passenger are warmed by soft leather upholstery made with the cooperation of Dräxlmaier Group. Essential to catering the needs and preferences of the dynamic driver are dashboardfitted instruments. Underlined by the same dashboard layout, assigned to the passenger are precise co-pilot functions. Cool, sleek and supremely agile, of exceptional beauty and legerdemain like the sea creature from which it takes its name, the Moray is fitted with a powerful Chevrolet Corvette V8 engine, the longitude front-mounted six-liter, which reaches command of more than 400 horsepower, combined with a perfect balance ensured from the ground up by Michelin Pilot sport 335/30 ZR20 rear tyres.